One of the hot digital transformation trends for 2019 is the CEO taking the reins. But what does that really look like in today’s business marketplace? It’s one thing to task someone with a job. It’s another thing altogether to make sure they are prepared for it. 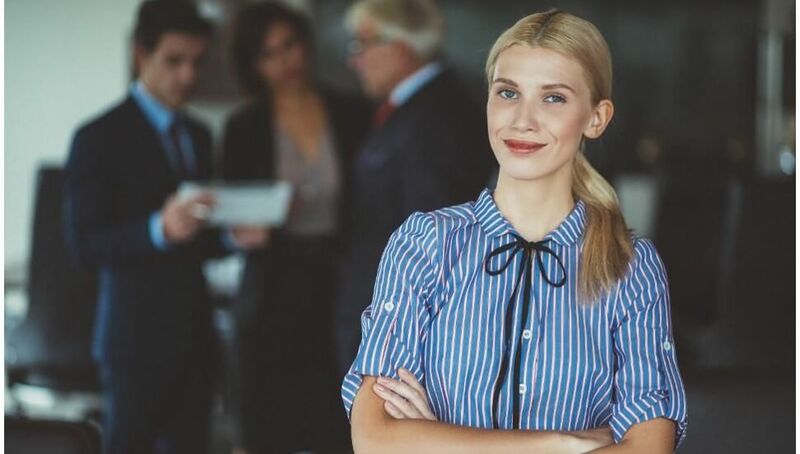 Most CEOs are probably still saddled with questions like, “Where do I fit in digital transformation?” “How do I manage all of this tech when it’s not my area of expertise?” and “Where can I delegate but still show leadership?” That’s why, at the very least, CEOs need a foundational roadmap to guide them through this ever-changing digital landscape. I’ve already outlined my six pillars of digital transformation for the organization, but I thought I would take it one step further and outline those six pillars of digital transformation for the CEO. Use this as your roadmap for 2019 and you’ll be set up for success. As a CEO, your most important job in digital transformation has nothing to do with technology. It has to do with culture. As head of the company, you have the responsibility of defining the type of culture you want in your company—one that embraces change, allows for failure, encourages curiosity, and keeps its mission close. You have the charge of creating a culture that not only accepts digital transformation but grabs on to it with both hands. As CEO, take time to consider where your culture is now—and what you need to do to optimize it for your company’s future growth. This is a huge key for digital transformation for the CEO to understand. Patagonia is known for their culture of independence and owner and Founder Yvon Chouinard exemplifies it best. He said in an interview a few years ago that he didn’t want work to come between himself and the waves. That philosophy is the cornerstone of their company culture. And it’s paid off, since Patagonia is consistently recognized as one of the best places to work. Technically, I’d say customer experience is the foundation of digital transformation, but in terms of your role as CEO, I’m knocking it down to second. That’s because without a clear and mission-driven culture, your customer experience will be in the toilet regardless. So, first tackle culture and then move on to CX. As a CEO, your role in defining customer experience is in clearly defining your mission and culture. When those two things are clear, strong CX—and EX—can follow. The mission will map the types of experiences you want your customers to have along the culture journey, and your culture will keep your team inspired to provide—and even outperform it. Earlier this year, a story came out that during a meeting with executive leadership Jeff Bezos called out Amazon’s VP of Customer Service for the extended wait times on customer service calls. When the VP responded by saying some wait times are under a minute, Bezos put it to the test on the speaker phone. After four and half painful minutes, someone answered. Now four and half minutes seems incredibly short compared to the hours I’ve spent waiting to talk to someone at other companies, but to Bezos, those four and half minutes were a lifetime—and unacceptable for any customer. That’s a leader that knows the value of the customer experience. Hiring falls under HR—so why do you as a CEO have to worry about it? The truth is, unless you define the types of people you want onboard, your recruiting teams will be hiring for skills more than culture. Your job as CEO is to redefine the types of employees you want on your team—people who think big picture, ask good questions, and aren’t afraid to take risks when the payback is high. This isn’t something HR will know how to do on their own. You need to show them through the type of people YOU bring on board, and the qualities you display to your entire organization. In 2015, Google’s then CEO Larry Page said that he personally reviewed all candidate applications before the final hiring decision. That was 6,000 applications. You might not need to be involved that much, but having input in the hiring process will ensure you hire the employees you want. It goes without saying that innovation comes with digital transformation. The question for you is what role you play in it. The CEO’s role in innovation is to direct it through clear, strategic, mission-driven business goals. No, you don’t need to be the innovator. But you do need to direct your team of change-leaders, thinkers, and doers to discover new ways of operating—new processes—new products—that will empower your customers and improve your business. For me, the CEO that understood this best was Steve Jobs. He knew that you had to experiment and be okay with the failure to succeed. He once said it wasn’t about how much money you spent on experimenting. It was about the people that have experimenting. As you can see, many of these pillars are entangled with one another, creating a strong digital transformation foundation. Change—or the ability to change in an agile and efficient way—is a huge part of the successful digital transformation process. No, you can’t make change easy. But as a CEO, you can hire people who are agile thinkers, stay open to new technologies and methodologies, and model a willingness to change within yourself. Again, it goes back to culture. And the CEO is an essential element in culture creation. When Netflix first started it was just a mail-order DVD service, remember that? Now it’s transformed the digital streaming service completely opening the door for Hulu, Amazon’s streaming service and several other companies. Netflix saw a need a filled it. They embraced the change and it has paid off. Granted, your change doesn’t need to be nearly as big, but it’s the principle of the matter. Be ready to embrace change. I put this last simply because of how obvious it is—not because it isn’t important. In digital transformation—and in any changing environment—what people need most is strong leadership. YOU ARE THAT LEADERSHIP. Yes, you can have other strong leaders on your executive team. But when push comes to shove, all heads will be looking to you for direction. They will be looking to you to see how to react to the market, how to address certain disruptions, and how to stay afloat in a sea of change. You alone can give your employees sea legs in digital transformation. The six pillars of digital transformation aren’t just buzzwords. From a CEO’s perspective, they are light posts to follow that will help illuminate a way forward for your company. That type of clarity in leadership has never been more important than it is right now. And your role as CEO has never been more important.